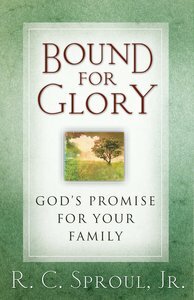 - Publisher A call for Christians to glorify God in the home and in the world! Sproul encourages husbands and dads to make the Scriptures known to their wives and children, helping them to grow in godliness; and to take responsibility for the testimony of their household. Includes a discussion of homeschooling and education. A call for Christians to glorify God in the home and in the world! Sproul encourages husbands and dads to make the Scriptures known to their wives and children, helping them to grow in godliness; and to take responsibility for the testimony of their household. Includes a discussion of homeschooling and education. R. C. Sproul (Drs., Free University of Amsterdam) is founder and chairman of Ligonier Ministries.